Zoom Rooms, the world’s leading software-based conference room solution, now supports the Google Chrome operating system. 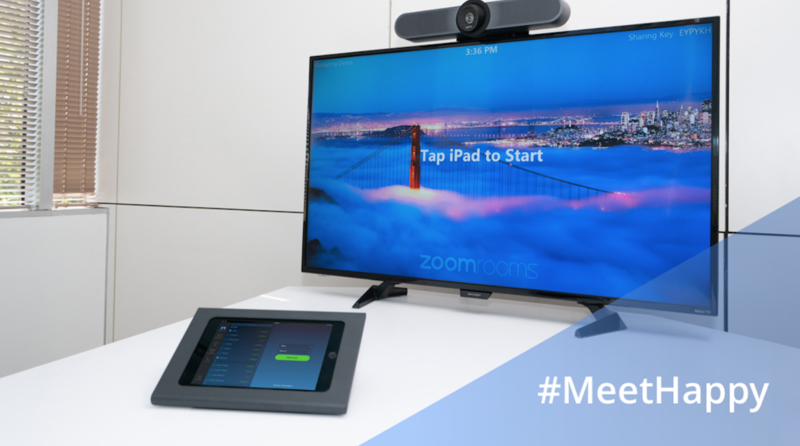 Zoom Rooms already run on Mac and Windows PCs with an iPad, Windows, or Android tablet controller; the additional support for Chrome OS further extends the flexibility of our conference room platform. We released our Zoom Rooms Chrome OS at the request of our customers. We know that anyone who runs their tech stack on Google / Chrome, will be happy about this new solution. We have several happy customers who trialed Zoom Rooms for Chrome OS in the high tech and K-12 education sectors. “The strength and parity of Zoom’s solution across various mobile and desktop platforms has always been excellent, and given their focus on flexibility and meeting customer requests, we’re not surprised to see this new support for Chrome OS. Beyond its success in education, the Chrome OS and Chromebox platform have been steadily gaining momentum in many other industry segments including retail and financial services. Zoom’s announcement is timely. This will provide opportunities for companies that standardize on Google to not compromise when it comes to their video communications,” said Roopam Jain, Industry Director of the Conferencing and Collaboration practice at Frost & Sullivan. Any Zoom Rooms customer can now install it using the Google Admin Console. Visit our Knowledge Base for more information. If you’re interested in learning about Zoom Rooms, sign up for a personalize one-to-one demo today.